Hey all and happy Monday! As you can probably see in some of these photos, it snowed here…. and has been unreasonably cold as well! I pretty much did not leave my house this weekend, except to get a few essentials and grab dinner one time! The temps here really are quite uncomfortable lately and the wind has been so nuts! I wore this outfit a few weeks ago when I went to Winky Lux with my family. It’s a fun makeup brand that has a popup here in Chicago with a ton of instagrammable rooms in the back! These heels are a bit lower in height and super comfy for standing or walking in for a while. I love anything leopard, so this skirt was a natural fit in my closet! I wanted to mix it up a bit and not just wear it with your typical white or black top. 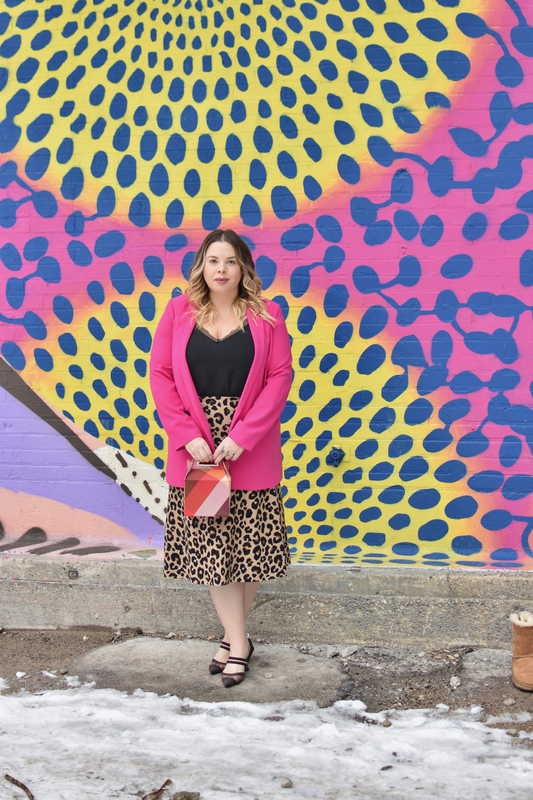 I opted for a fun pop of pink with this blazer. I did want the top to be a bit longer, as the skirt is quite long, so an oversized blazer paired perfectly with the skirt. 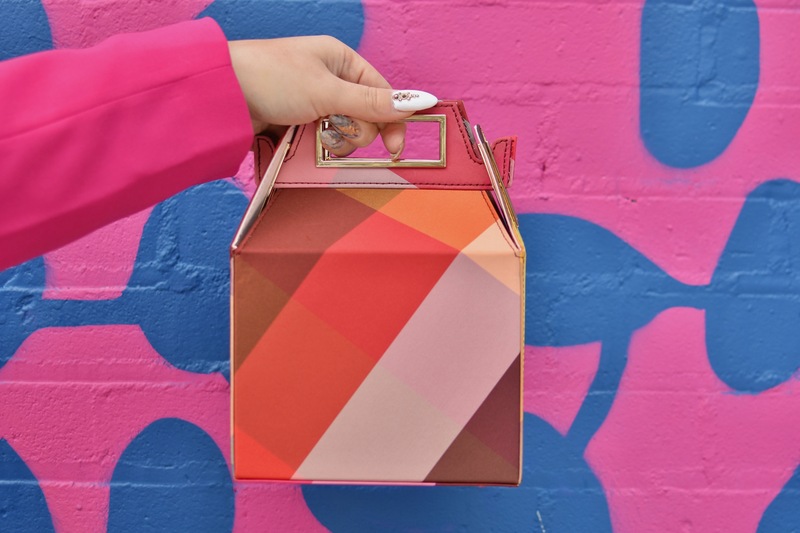 I also wanted to mix things up a little bit, so I threw in this colorful plaid Take Out Bag from Pop & Suki! I have been on the hunt for a really quirky and unique bag, and this one definitely did the trick. Hope you all have such a fabulous Monday and week ahead! HOLD UP one second: this is the cutest outfit ever. I love love the pink and leopard mix! And that bag is such fun! Your style is so fun! Love how you mixed the print with the color. And that bag is so unique too! Yasss! That’s one of my favorite color combos ever! Loved the entire outfit. that bag is everything! i am loving the design! I love that combo so much. You look absolutely stunning. This is something that I would defintiely wear. I am loving the leopard and hot pink combo!! Such a strong and fun outfit! 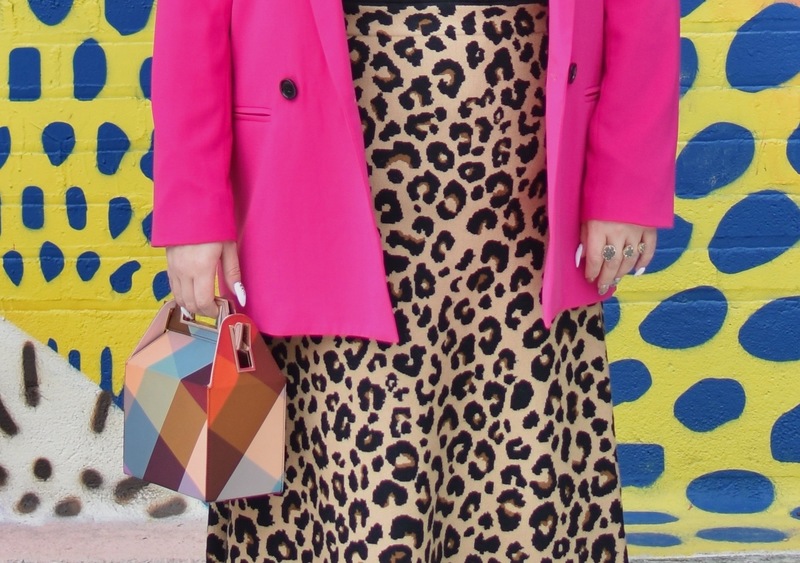 I am LOVING the leopard and hot pink together! It’s so stunning and the pop of pink is stunning! Leopard print is such a staple in my closet. LOVE. I’m always amazed by your ability to pair bold prints and colors together in a way that just works! Your outfit is chic, as always! LOVE that skirt and that cute bag! I am obsessed with that bag and you look amazing mama!! You are the cutest! That color is so good on you! 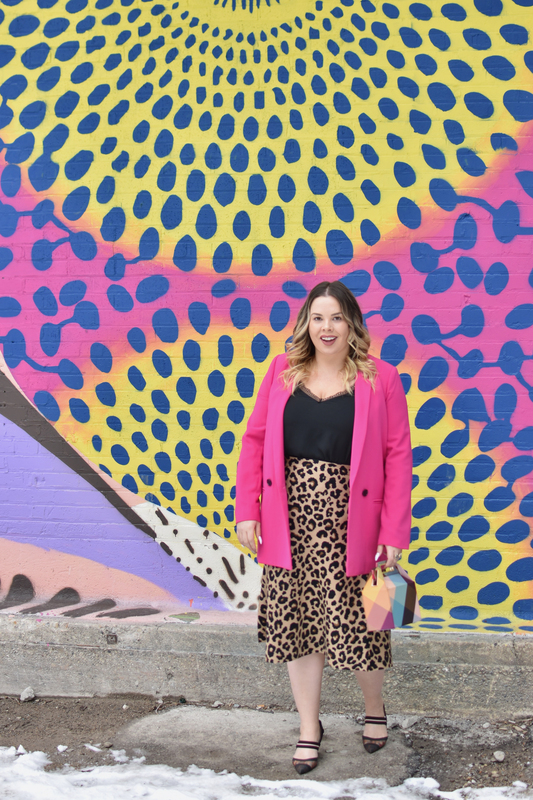 Love the leopard with the bright pink! 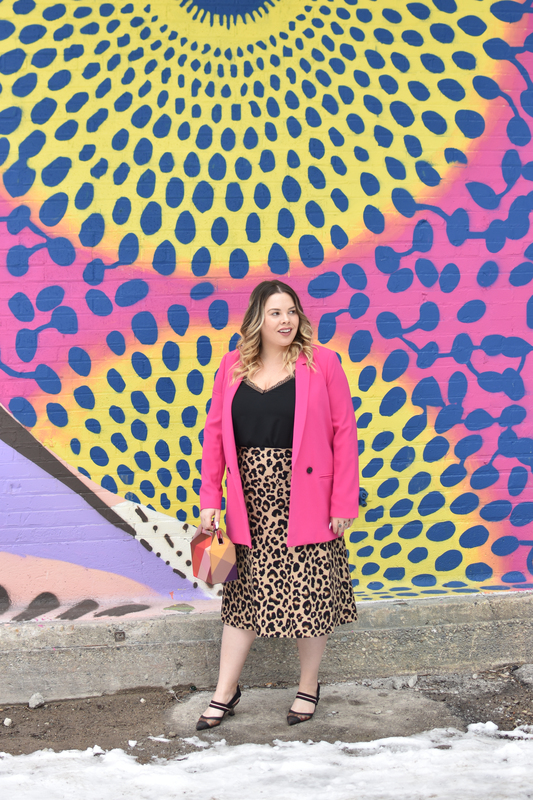 I love the leopard and pink together, such a fab combo! And that wall is amazing! I have been loving the leopard trend! Definitely need to get my hands on a skirt like yours!! Such a great outfit!! 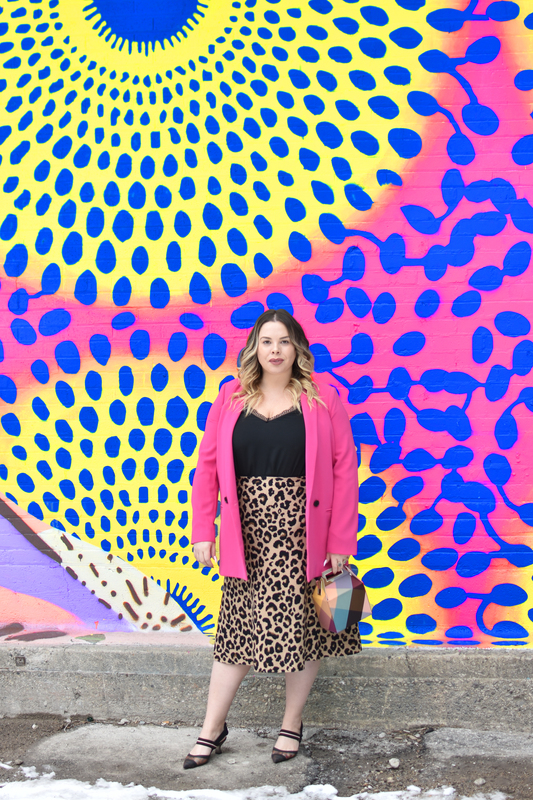 Loving the hot pink blazer with your leopard print skirt! Definitely a combo I am on board with! leopard and pink is one of my favorite color combos. So bold and so fun!